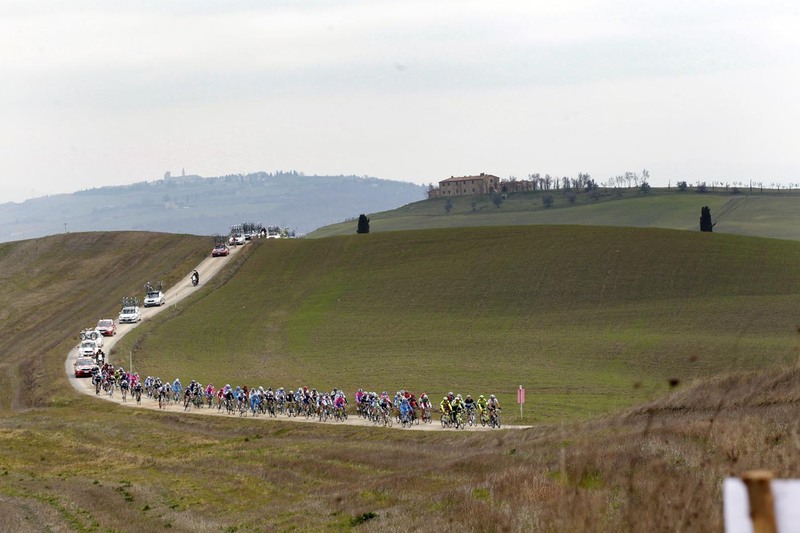 Giro d’Italia organiser RCS Sport struck gold in 2007 when it created Strade Bianche. The one-day race in Siena, Italy, touches the hearts of cycling fans worldwide with its white gravel roads, rolling countryside and Cypress trees. The icing on the cake: a finish in Piazza del Campo. Though Saturday’s race is not in the WorldTour, Philippe Gilbert helped cement its status. The current king of one-day races, charged ahead of Alessandro Ballan in Siena’s famed piazza last year for the win. Fabian Cancellara and Thomas Löfkvist have also won here. Gilbert teams up this year with Ballan and Cadel Evans to form a super squad, BMC Racing. Adam Blythe, George Hincapie and Greg Van Avermaet will enforce the trio’s efforts. Sky skips the race for a second year running, but there are plenty of other big teams: RadioShack-Nissan (with Cancellara), Garmin-Barracuda (Ryder Hesjedal, Daniel Martin, Johan Van Summeren), Astana (Roman Kreuziger, Maxim Iglinsky), Liquigas-Cannondale (Vincenzo Nibali, Peter Sagan, Daniel Oss) and Movistar (Giovanni Visconti). The teams are coming to experience what cyclo-tourists have enjoyed for years in the Eroica ride. The Eroica, this year on October 7, inspired RCS Sport to create Strade Bianche. It wanted its own classic, one similar to the Northern Classics, like Paris-Roubaix and Tour of Flanders. “Strade Bianche reminds me of my beginnings,” Gilbert said last year. “The very peculiar dirt roads, it’s a surface that recalls the old times of cycling.” The race’s organisers described the Belgian rider as “Gilbert da battere” or “Gilbert the man to beat”. The others will have 190 kilometres to do, 57.2 on gravel roads, from Giaole in Chianti to Siena’s Piazza del Campo. The gravel sections will force an elite group, the climb into Siena’s centre will whittle it down and the final right-hand bend will reveal the winner (who will need to take the inside line). Longest of the day, perfect place to form an escape. Easiest of the day, but the escape took root here last year. Follows main climb to Montalcino, where Evans won in the 2010 Giro d’Italia. Sector follows immediately after number 3, and combined, will eliminate riders. The race’s key sector, entering into the crucial tail end. Long and undulating, perfect for attacks. … with a ramp of 15% immediately. Descents and an 18 per cent rise, which Damiano Cunego used last year to reel in Stuart O’Grady and Van Avermaet. Only 12km to the Campo. Vincenzo Nibali (Liquigas-Cannondale) – In form, will play off of Sagan. Remember his panache at last year’s Giro stage to Orvieto?